If you want to enjoy a view and feel the clear atmosphere in Hoi An, Riverside Oasis Hoi An Villa will be the most perfect selection for you. This three star hotel is distant the bustle of city about 4 km so it is extremely convenient for tourists to approach the famous tourist destinations of this city. What is more, it also provides the perfect services and the great luxurious facilities to satisfy the most demanding tourists. A wide range of services of hotel include free wifi for all of rooms, 24 hour front desk, the fast check in and check out time, luggage storage and wifi in public areas. In addition, all hotel living rooms own a different comfortable characters. 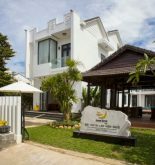 Some of them are equipped the special facilities such as wireless internet access (free), wake up call, private pool, air conditioning in order to satisfy the most demanding tourists. The hotel’s recreational facilities include the hot tub, gym, golf course (within 3 km), the outdoor swimming pool will bring tourist the most comfortable relaxation. 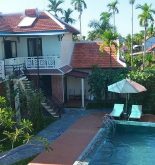 You visit Hoi An by any reasons, Riverside Oasis Hoi An Villa will be the wonderful selection for your happy and interesting vacation. Address: 06 Tong Van Suong St, Cam Thanh ward, Hoi An, Quang Nam, Vietnam. 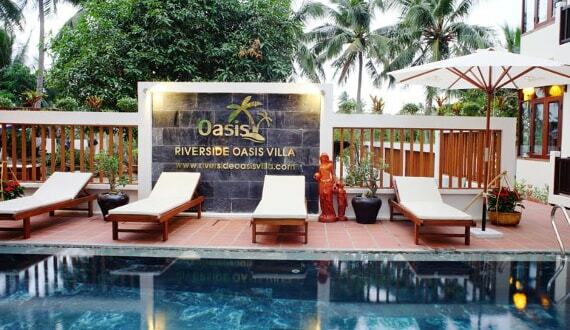 This information has been supplied by Riverside Oasis Hoi An Villa.